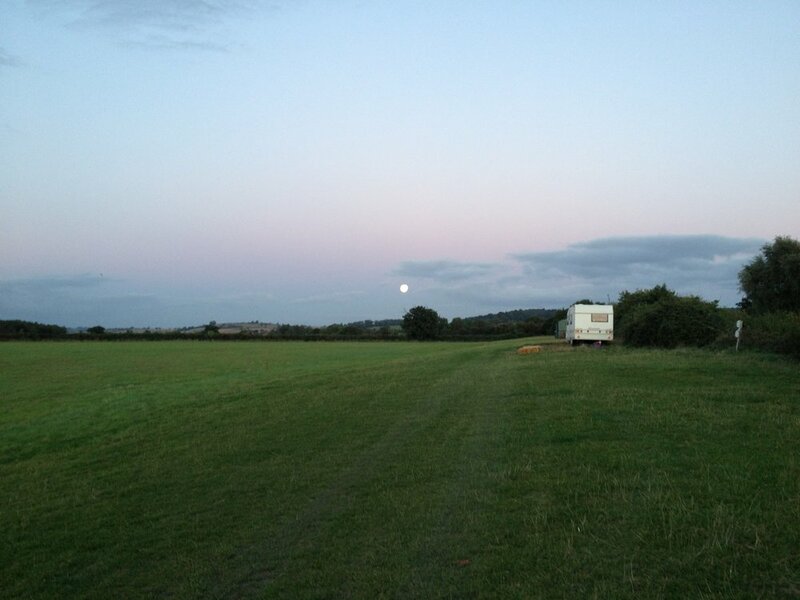 The caravan and campsite is a secluded and tranquil field, just over an acre in size, with 16 amp power hook-ups at the end of a private half mile long lane. There is not another house in sight from the fields and no pylons. You will enjoy large open skies, dark starlight nights, stunning sunrises and spectacular sunsets from the towpath. Please note, for large group bookings, or bookings of long periods we may ask for a deposit. In any event if a booking is canceled within 7 days of the arrival date we will ask for 50% payment of the fee. If the cancelation is made less than 2 days of the arrival date we will ask for full payment of 100% of the paayment. Children are very welcome at Wigrams; although we have no specific children’s activities visiting children manage to find plenty to do in the large camp field. We welcome dogs on the understanding that they are cleared up after. Also please be aware that we have free roaming hens. Fishing on the canal and launching of boats is possible but please be aware of the local CRT regulations. We want all guests to be able to enjoy the serenity of Wigrams, so please be considerate of your fellow guests. We would request that all campers respect the tranquillity of the site and bear this in mind when controlling their children, dogs and evening music etc. One thing we discourage is anything that disturbs the serenity of the area so please reduce bright lights and loud music. To protect the field for future guests open fires are not permitted. Barbecues are fine if they are held high enough or shielded by slabs not to risk damage. Also please pick up any rubbish after your visit. Wigrams is a certified campsite with the Camping and Caravaning Club. We are open to members or those considering joining. We have membership forms on site.